If you run into damaged or broken grease fittings, the ABN 4-Way Grease Fitting Tool - To Install, Remove, Repair, and Maintain Any Straight, Angled, and Pin Zerk Fittings is your all-in-one solution. Maintain your riding lawnmower or any other grease fitting tool with this 4-way tool. It is easier than looking for the correct wrench size, and it has a built-in rethreader and extractor. 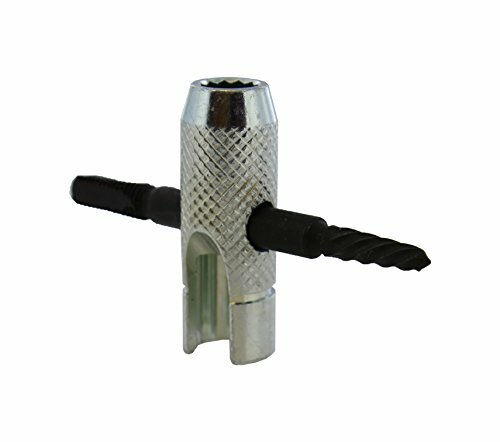 Designed to retap holes for new installation, this tool also assists with the removal of a worn or broken fitting. It has a 2" T-design and a knurled body for maximum grip, so you can install straight and angle zerk fittings and rethread or remove straight, angle, and pin fittings. It is suitable for 1/4"-28 and 6mm fittings, 1/4"-28 tap thread repairs, and 5/16" and 3/8" hex fitting and plug removal.